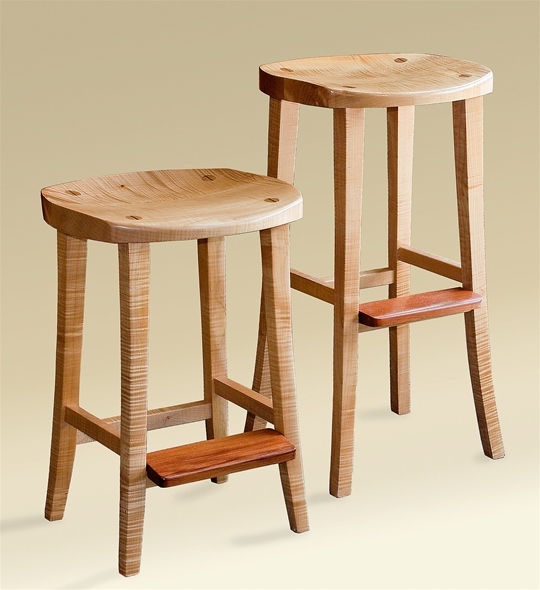 This bar stool in Tiger Maple has a great carved seat for good looks and comfort. 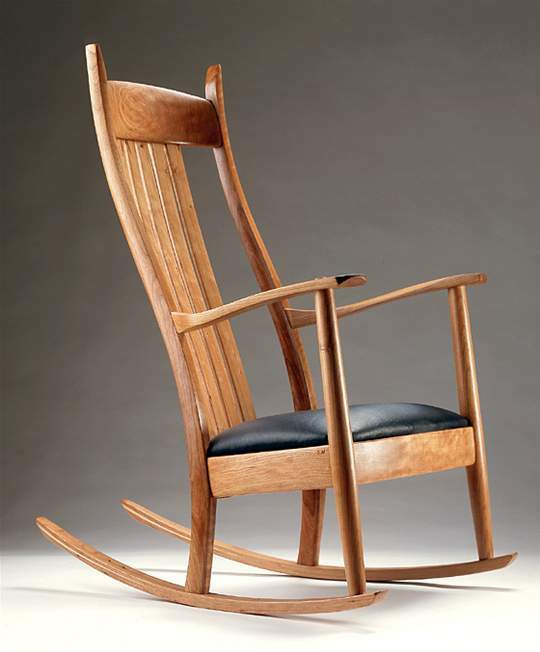 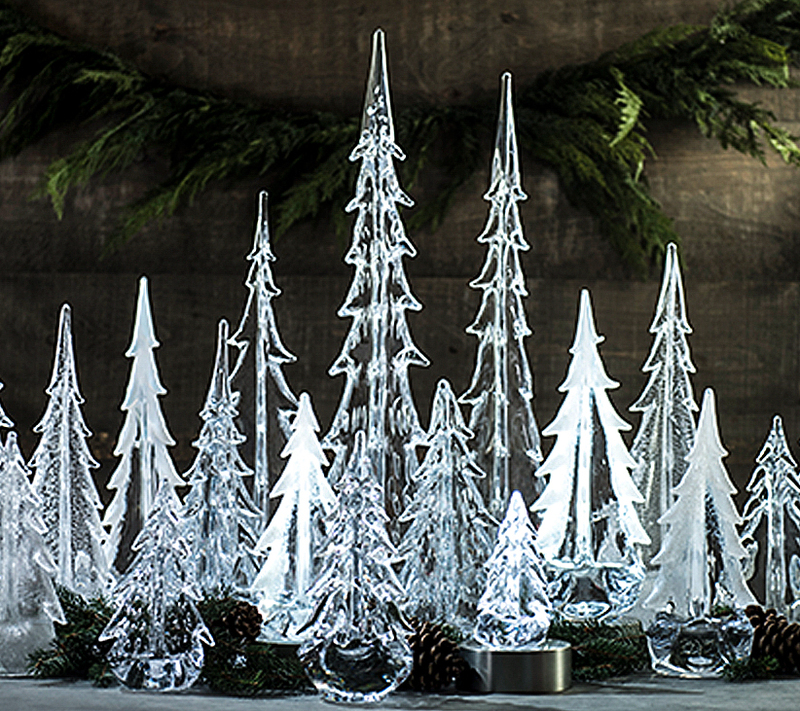 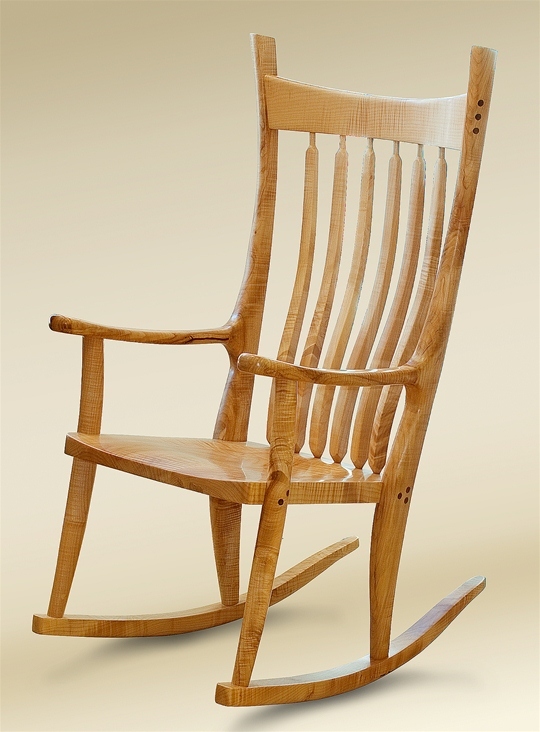 Greg makes these in 24″ or 30″ height…or anything in between! 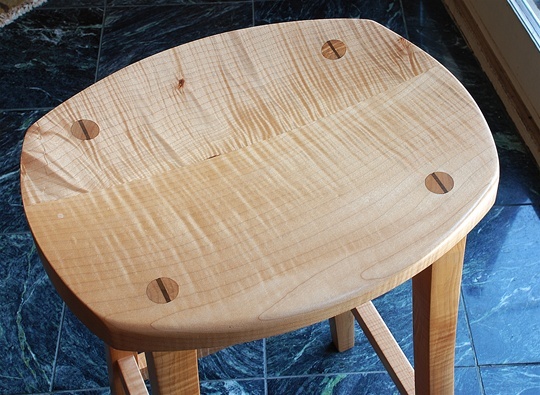 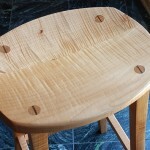 Dimensions: This stool is comes in two standard sizes but is available 22 to 30″ high.